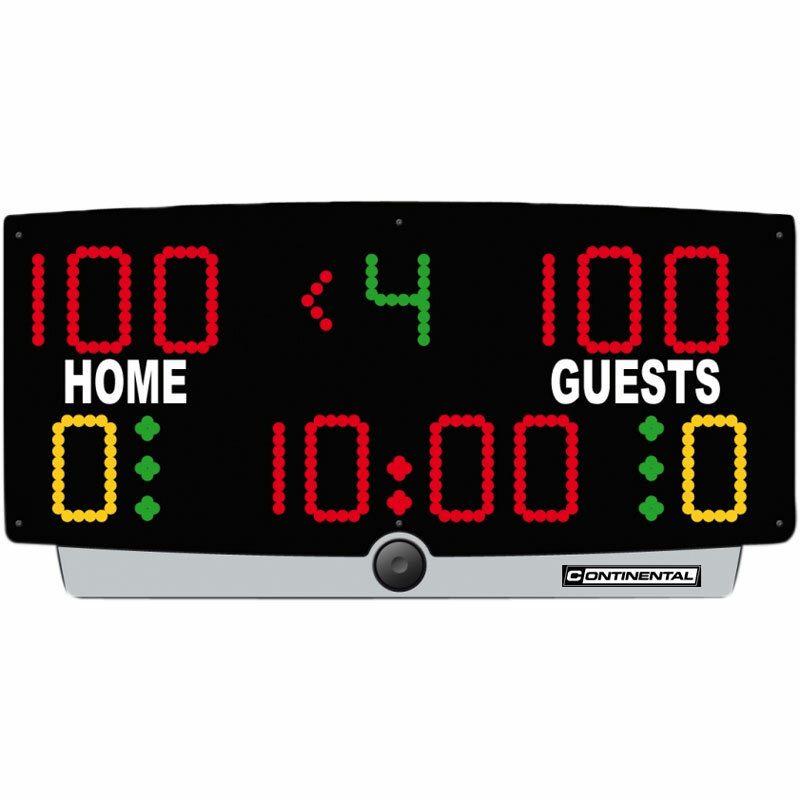 The Continental Multisport Electronic Scoreboard is a portable table top scoreboard for facilities where the scoreboard will be needed in different rooms (such as the sports hall for basketball, the activity room for table tennis, and the gym for timer functionality for fitness training). Multisport programme - built in support for 11 sports: Basketball, Handball, Volleyball, Tennis, Table Tennis, Badminton, Roller-Hockey, Uni-Hockey / Floorball, Five-a-side / Futsal, Netball, Boxing. 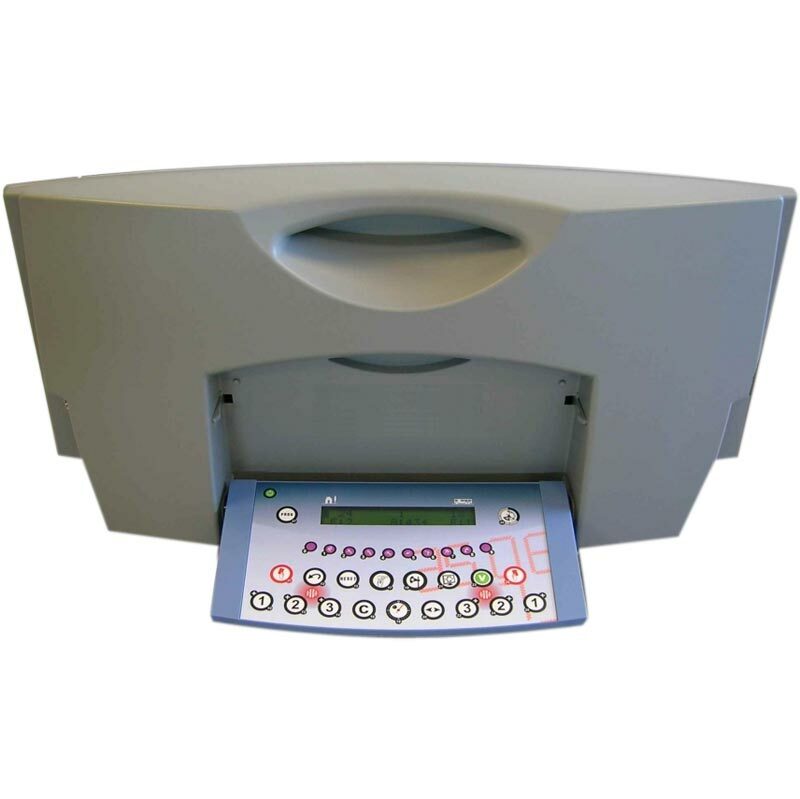 Additional timer programmes - Timer Function, Training Timer Function, "Free" mode. Display of the scores, the timer, the match period, the team faults, and the time outs. Mains or battery operated (complete with charger for battery operated version). 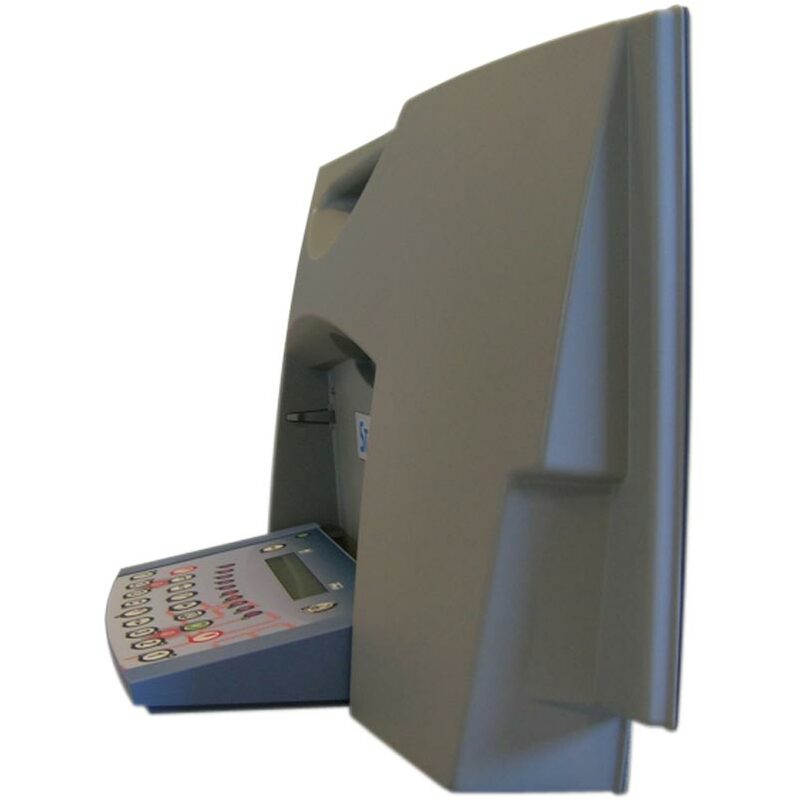 Dimensions: 733mm wide x 368mm high x 115mm deep (245mm with console unfolded). 13 digits in 3 colours.